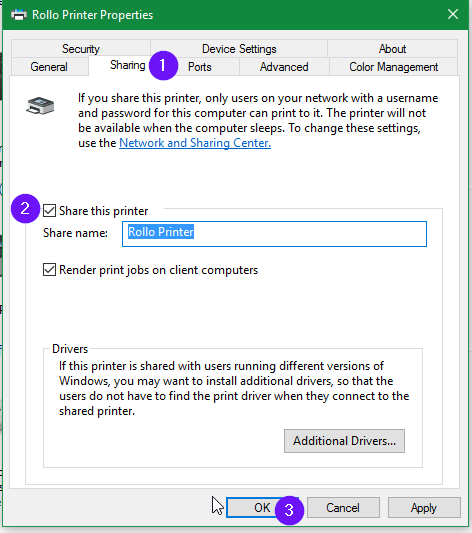 You can share Rollo with other computers in your network using Windows' Printer Sharing feature. First, open the Devices and Printers panel. In this area, you see a list with all external devices installed on your PC. Go to the Printers section and follow these steps. When done, click or tap OK . 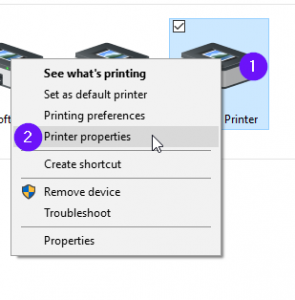 The printer is now shared with the other computers on your network, regardless of the operating systems they are using.